Everything The O.C. : Behind the Scenes: the Valley vs The O.C. 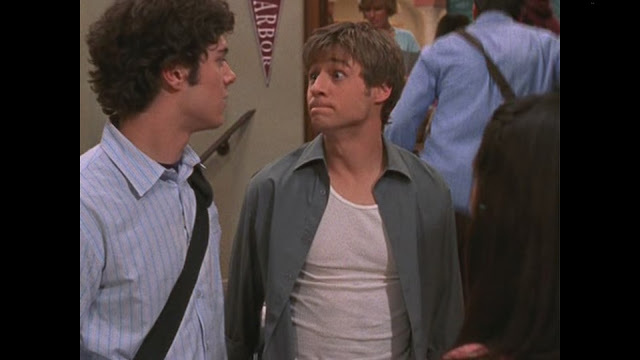 What can I say the invention of the Valley was another reason why The O.C was and is an incredible show. Part of the charm of The O.C. was that it could constantly make fun of itself, which balanced out the mellow drama perfectly. The O.C. 's writers were conscious of what was happening in pop culture and were geniuses capitalizing thus including the Valley in the script. The Valley was a show within The O.C's universe that parodied The O.C. 's themes and stories. If you listen to the audio while the characters are watching the Valley you will hear some comical story lines. Summer Roberts was highly addicted and is seen (along with other characters) watching the show with great obsession randomly throughout the series. 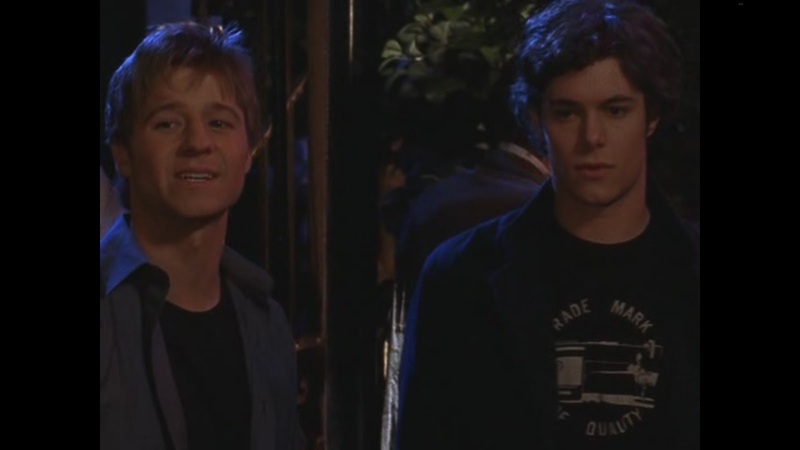 Throughout the series you start to notice some funny parallels between the Valley and The O.C.. Most of the Parallels come in Season 1 episode 22 "The LA". 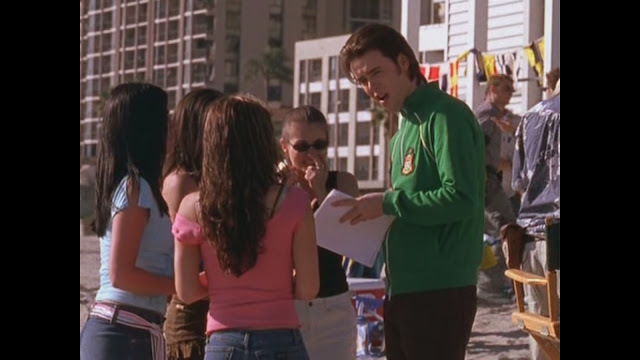 In the episode Marissa and Summer go to the beach and stumble upon Grady Bridges (main character and young teen heartthrob of the Valley) along with some film crew filming on location (much like The O.C. did). Marissa had no clue what the Valley was so Summer fills her in in 2 seconds flat on how the Valley is her favorite show, that Grady the main character of the show is so hilarious and how he improvises most of his scenes. Well if you've watched or read any early behind the scenes O.C. 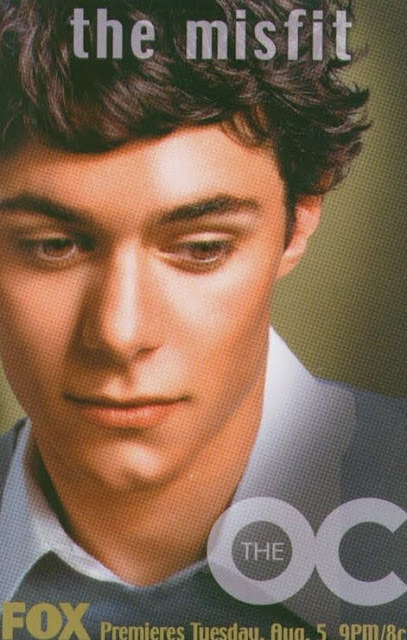 stuff about Adam Brody (Seth Cohen) you will learn that Adam was allowed periodically to improvise his lines the way he thought they should be/delivered, often making them up out of thin air. Adam would also then do the script version and let the creators decide which worked best. Later on in the show the writers would actually just write in lines that sounded improvised and would give the viewer the same spontaneous feel. In countless interviews Adam Brody has denied the great praises regarding his improvisation skills and gives most credit to the writers (modesty Brody)..So this was an obvious jab - Grady VS Cohen! Who wears the zip-up collared hoodies better!? Next in the episode Summer and Marissa walk up to Grady. Summer excitingly starts talking to Grady about how they both love the show and watch it all the time and our huge fans yadda yadda (Marissa is still clueless who Grady even was and makes it embarrassingly known). Marissa and Summer meet back up with Ryan and Seth at school the next day and let them both know how they met Grady Bridges of the Valley. Ryan and Seth look unimpressed as they don't even know what the Valley is. Summer reveals to them that they are all invited to hang out with Grady for his birthday party in L.A..They are super stoked...sike! 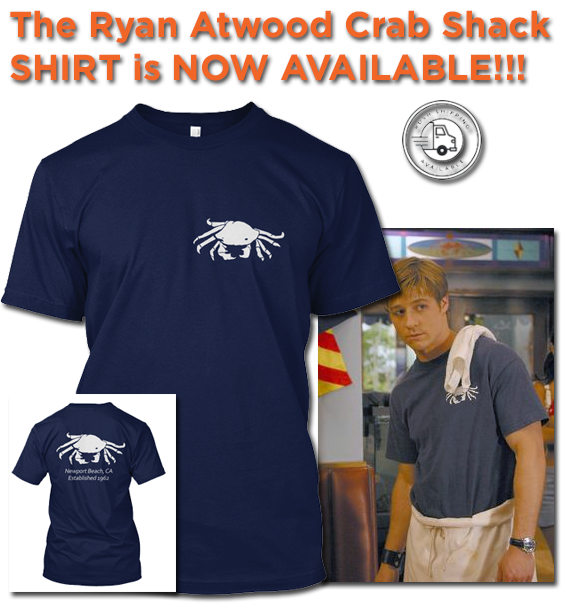 Ryan: He's kinda like you. Seth: What handsome and charming? Seth: Oh god he is like me. He is like me except with his own TV show. Seth (interrupts): No no no, he improvises all his lines. That's totally him and he's totally me. Except on a prime time soap and Ryan dude if you could have the real me or you could have the TV me which one would you take? 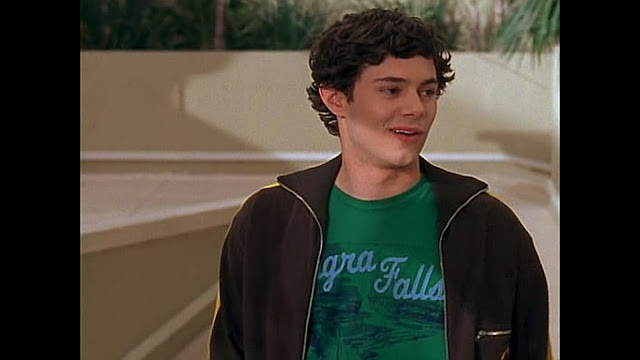 You would totally take the TV me, dude we're not going to L.A. because i'm going to loose Summer to the real life TV Seth Cohen. Once again Grady vs Seth! Grady Bridges is the real life Seth Cohen! Fun-fact the word "prime-time" means a show that airs around 9:15pm to 11:00pm. Apparently most people watch TV around the 9:15-9:30 time frame making that the most valuable time for advertisers, thus making it PRIME TIME! The O.C. originally aired on Tuesday nights at 9pm/8pm central later moved to Thursday night 8pm/7pm central - a horrible time slot that contributed to the shows demise (among other things). Later into the night Marissa, Summer, Seth and Ryan meet Grady Bridges at a night club called Luna Chicks in Los Angeles. After Ryan sees Grady he asks Seth "How does that guy play a highschooler? ", Seth responds with "Hollywood man!". This is of course a funny jab at the teen actors of The O.C..All of which were clear into their 20's when they started The O.C. except for Marissa (she's was the only REAL main character teenager when the show started). Summer VS Paris Hilton. As Summer and Seth walk around in the club Paris Hilton accidentally bumps into Summer. Paris Hilton gives Seth a smile in a flirty way and Summer notices and gets mad. Paris Hilton says "Relax all you L.A. chicks are so lame! ", Summer immediately says "We aren't from L.A. we're from Orange County!". Paris Hilton says "Orange County? Eww." As Seth grabs her away from Paris Summer is heard mumbling "She said Eww!". This is of course a call-back to Summer in Season 1 Episode 1 when she finds out Ryan is from Chino, "Chino Eww!". Karma's a you know what! Things go pretty well and the gang is having a good time. Seth looses Summer in the crowd, he gets worried that she ran off with Grady. 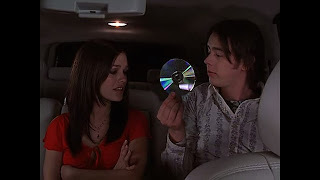 While looking for Summer Seth finds her And Grady in his private limo listening to music (Grady's band), Seth opens the door then mocks that he knew this is where Grady and Summer was because of the really bad music and says "I heard some really awful music and I knew it could only be from self indulgent actors with instruments". 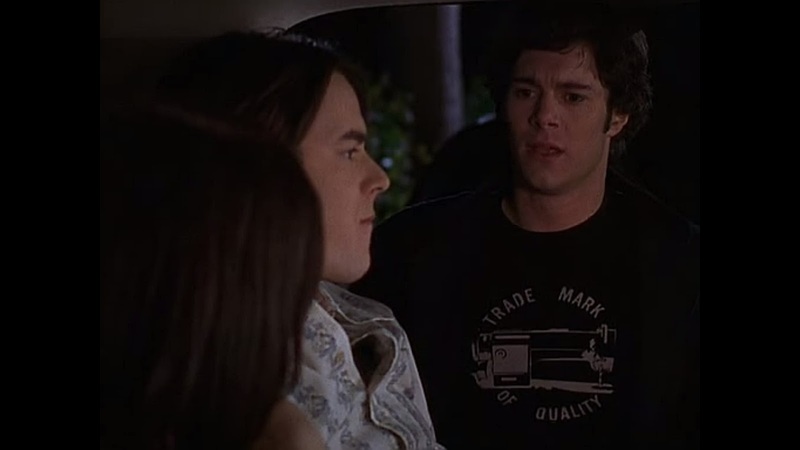 This of course was another parallel to Adam Brody. Adam Brody is in a band called Big Japan, he is the drummer. The last notable parallel is in the name of the episode "The L.A." this is obviously mocking "The O.C. ", people (mainly Orange County locals) had a problem with the show being called The O.C. because not that many people would casually say they lived in the O.C. they would say they lived in Orange County. Just like nobody would say I live in "The L.A.". 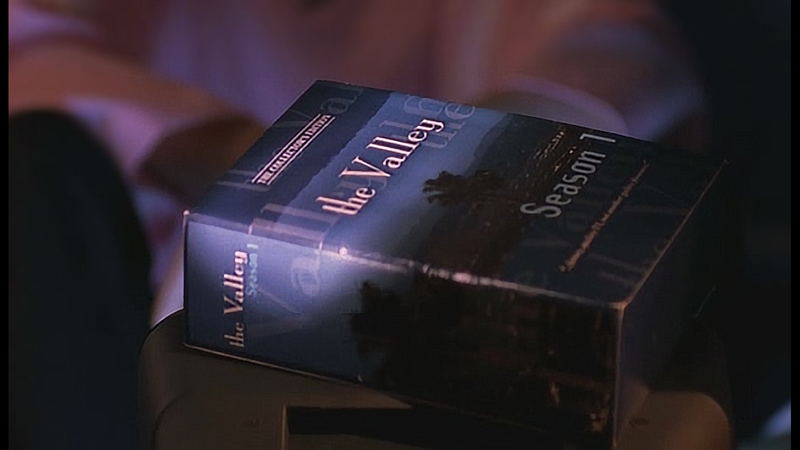 This is also a parallel to the name of the show the Valley which basically is a cool way to say Los Angeles. Los Angeles is called the Valley because its located in the San Fernando Valley. During the proven success of The O.C., came the copy cats (naturally), Laguna Beach came on the scene one year after The O.C.. Laguna Beach: The Real Orange County was a scripted reality show on MTV that was based incredibly loose to The O.C., (beach, rich kids and drama minus the heart and humor of The O.C.). It was suppose to feel like a reality show. a "real" show. When The O.C. 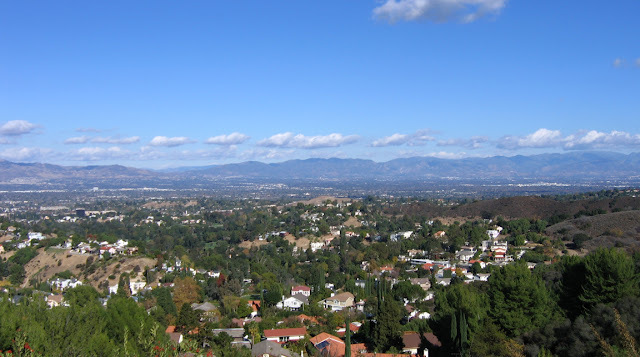 writers caught wind of this, it inspired them to create another on screen parody in The O.C., a show called Sherman Oaks: The Real Valley (which is a parody reality show of the Valley). Which is watched by a few characters in The O.C.. Extra credit: Grady Bridges real name is Jake Needleman (this is a callback to the original last name of the Cohens on an early draft of the pilot, which was later cancelled and changed to Cohen). Think about it, no actually say this out loud - Seth Needleman, has a horrible ring to it doesn't it - but its also a very Jewish name like Cohen, so I get where the writers were coming from! Where to find: Season 1 episode 22 "The LA"